It's check-up time! 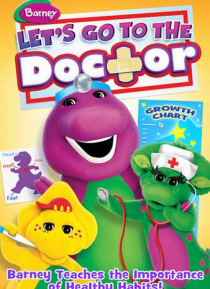 Barney teaches that doctors are our friends and shows how pediatricians, dentists and veterinarians keep people and animals healthy and strong! Through song, dance and play, Barney and his friends share the importance of brushing teeth, washing hands, eating healthy food, exercising and more! Join Barney, BJ, Baby Bop and Riff as they make learning about healthy habits fun for … everyone. It's just what the doctor ordered!